Concentrated thickness gives total protection against germs. 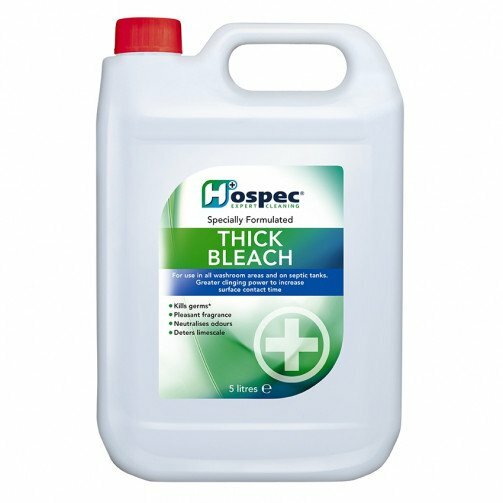 Thickened Bleach has been formulated to give greater clinging power where it matters. Use to disinfect and cure unpleasant smells caused by waste matter. Remove stains from toilets, basins etc. Do not use undiluted on fabric. Directions: Neat for toilets, outside drains, kitchen sinks to kill germs, remove stains and cure unpleasant smells. Dilute 10 100 for cold bleaching. 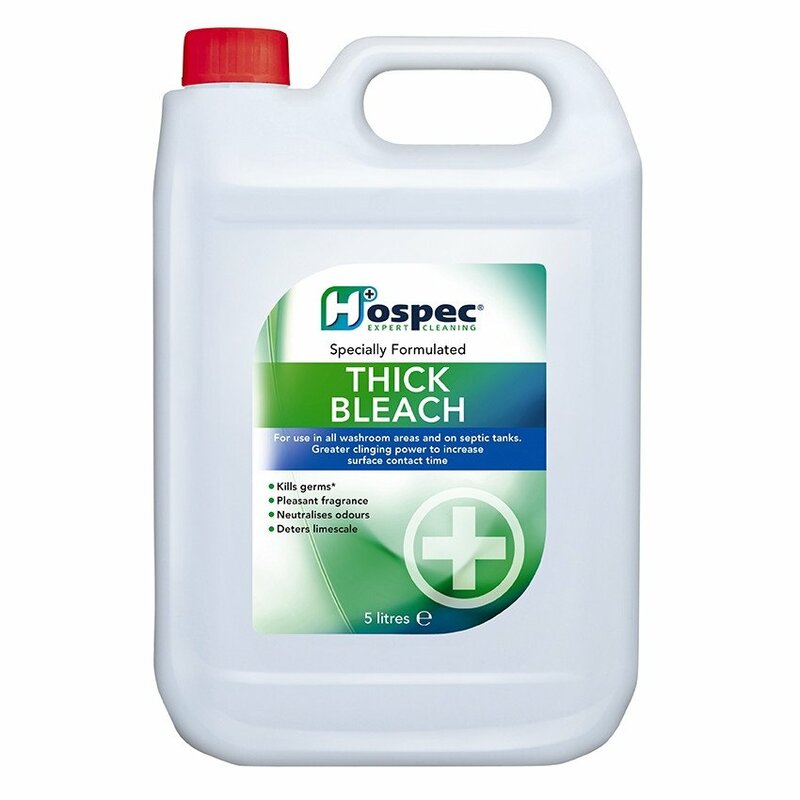 Dilute 1-50 for disinfecting work surfaces by regular wiping. Use in all washroom areas and in septic tanks. Neutralising odours and has greater clinging power to increase surface contact time. Killing germs, e.g. MRSA, clostridium difficile, e-coli, salmonella and listeria.